I love a good local gem, and I'm very pleased to say that I firmly believe that Fish on Fire is one of Cleveland's. Sure it might not be anything flash, but what it lacks in ambiance it well and truly makes up for in some spectacularly well cooked fish. Fish on Fire is located in the heart of Cleveland in the Stockland Coles Centre. They've recently done an excellent extension and refurbishment offering a quite nicely styled inside eating area. Probably a good idea on their behalf, as nice is alfresco dining is, its not quite so attractive when there are cars and trucks rumbling past literally right beside your elbow. However, I can most definitely ignore all shortcomings on the location front. 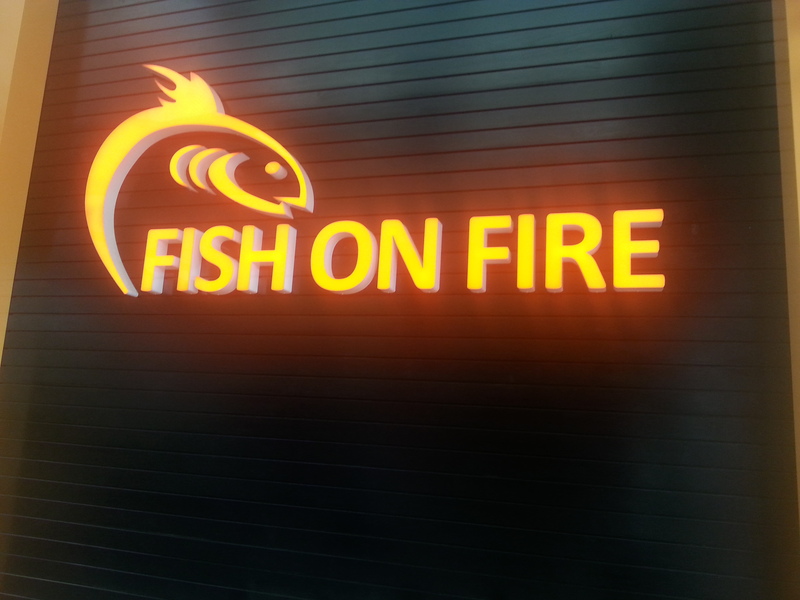 Fish on Fire, as the name suggests, serves little more than seafood. Be warned if you don't like fish, calamari, prawns or anything that comes out of the ocean, do not go! There are a couple of other token offers (and a fairly extensive breakfast menu) but it really is all about the fish, and the fish is magnificent. 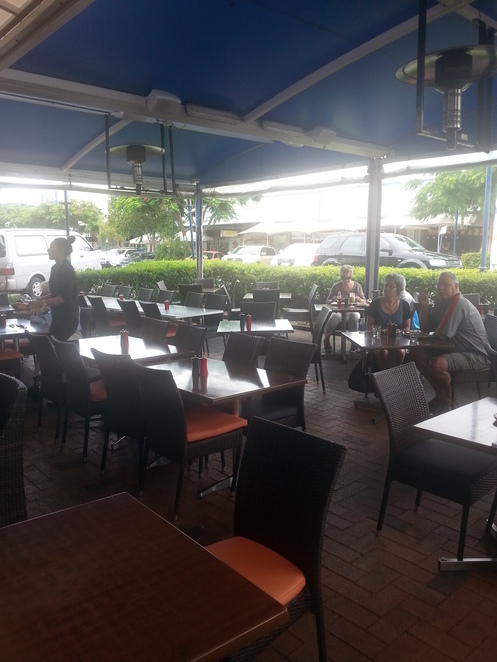 The kitchen offers around eight different varieties, all served crumbed, battered or grilled, with chips and your choice of salad. I went for the snapper, grilled,with a Greek Salad. Delicious! The fish was juicy and well seasoned, the salad was crisp and fresh and the chips crunchy. I was so caught up in eating my lunch I forgot to take a photo! Fish on Fire is fully licensed and also offers takeaway meals and Ben and Jerry's Ice cream. Definitely worth noting is the price. My enormous meal cost only $15.90 and was definitely excellent value. So if you live in the area or are just dropping by for a visit (and you like fish of course!) definitely keep Fish on Fire in mind. It is an excellent meal for a very reasonable price. I can't believe it has taken me this long to find it!